Pain and stiffness are signs that something is wrong! Although arthritis seems commonplace, this crippling and chronic condition can be prevented or, at the very least, its progression slowed down. All too often people assume arthritis occurs as they age or that it was inherited from their parents. This is not the case. 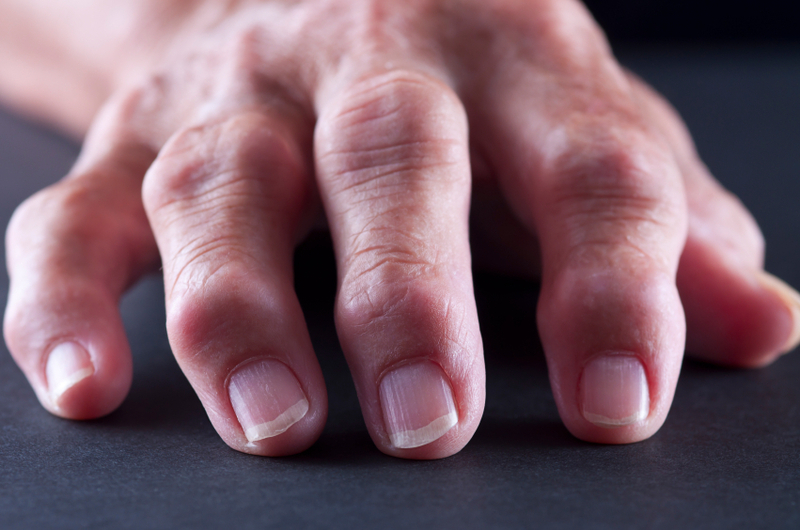 Arthritis is simply excess wear and tear in the joints. It occurs when untreated injuries and uncorrected joint misalignments cause degeneration in the joints and discs. When joint function is impaired, there is reduced range of motion, inflammation, calcium buildup, and scar tissue. The constant downward pull of gravity affecting us each and every day is the biggest contributing factor in the development of arthritis. When joint stress and damage go unabated and uncorrected, the arthritic process marches forward. Arthritis is a preventable condition. Do not let an “expert” tell you to “live with it”. Osteoarthritis, degenerative arthritis, degenerative disc disease, and degenerative joint disease all describe the same process: wear and tear of joints in the body. This is precisely why Dr. Kjaer emphasizes prevention. Chiropractic care can restore proper function to these joints so they work with as little friction or stress as possible. This slows down the arthritic process to maintain your flexibility so you can get more out of life. It might seem a simple solution to take aspirin and drugs to cover up symptoms, but the actual cause of the arthritis is not being addressed. Many people find relief with chiropractic care. If a thorough examination reveals reduced range of motion, short ligaments, tight muscles or mechanical restrictions, Dr. Kjaer can make a difference. Chiropractic care restores normal motion to the joints. This can improve function and reduce painful symptoms. 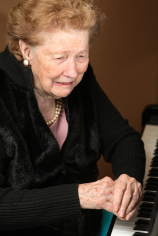 Much of Dr. Kjaer’s practice is treating arthritis whether it be in the spine or the extremities. In fact, a common reason people are referred to this office is for arthritis. Dr. Kjaer utilizes treatments to correct this and other musculo-skeletal problems. Ultimately, this can ensure that you get more out of your life: family time, hobbies and physical activities! Call us at 250-477-4702 for help. “Fifty years ago I was diagnosed with arthritis in the spine. Approximately one year ago pain increased to the point of causing my disabilities to be severe and I was spending most of my time on the bed. Since I live alone this was impossible. After treatment with painkillers the pain increased travelling through the nerves to the right leg and I was unable to sit, stand or lie due to the pain. I had received every kind of therapy treatment through the hospital and the Arthritis Clinic but not Chiropractic. I did not have any trust or confidence in it. A neighbour visited with me and was so convincing about Dr. Kjaer I agreed to see hm, mainly because of the success she had received with him. I have been satisfied with everything – the examination, reports and findings. I had the knowledge of what happened to me, but had never fully understood or had it explained so fully. I believe it was about 3 weeks before I really noticed the improvements. I greatly appreciate the fact that I have much less pain. I will very readily recommend Chiropractic care and appreciate the quality of care that I receive with Dr. Kjaer”.